Wax and Dab and Liquid Pens include portable devices specifically designed for use with concentrates and liquids. This includes wick-style pens for liquids (PG and VG suspensions etc), coil pens, ceramic chamber pens, and straw-style nails like the Linx Ares Honey Straw. 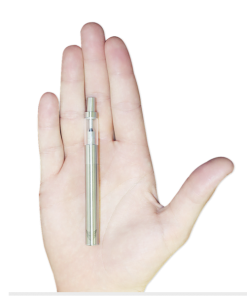 Pens are similar to other portables, but are usually smaller and are specific to concentrates and liquids. Wax pens are often particularly discreet both in terms of their size and in terms of the aroma associated with concentrates, which is almost unnoticeable. 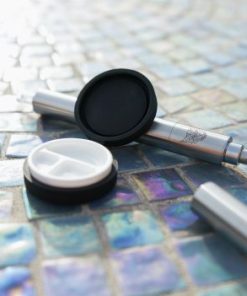 Wax pens are the perfect choice when discretion is important. 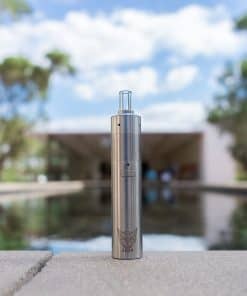 Vape pens are rapidly becoming the go-to device for people that want to leave the dab rig at home and enjoy their concentrates or wax on the go. Dabs, waxes,and concentrates refer to similar types of cannabis extracts containing CBD, THC or both. You might have heard of “shatter” too. 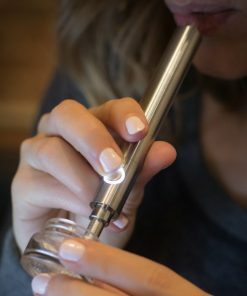 The best dab pens will also vaporize cannabis oils such as “honey oil”. Remember, concentrates can be very potent when vaping. You will find it more potent than conventional smoking. A significant amount of active ingredient can also be ingested in the vapor. When you first try a dab pen, expect an intense vaping experience so take it easy! 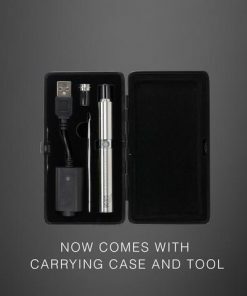 There are vaporizer pens that will vaporize a range of materials including e-liquids, dry herbs, and concentrates. 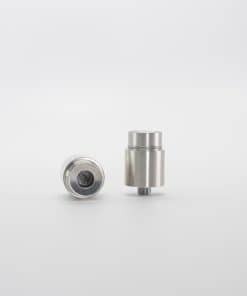 The atomizer and heating chamber will function differently for each style of vaping. You can even create your own vape juice with shatter and propylene glycol. 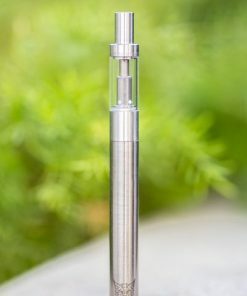 The best vape pens feature high quality stainless steel finishes and are easy to stash and keep clean. 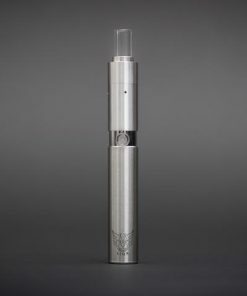 Like an electronic cigarette, a wax vaporizer has a battery, heating element, and mouthpiece. The battery generates power, which is utilized by the heating element to create heat and turn the wax in the chamber into a vapor. This vapor is then inhaled by the user. 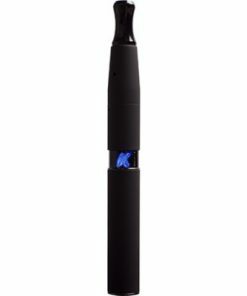 There are also a few hybrid vaporizer pens like the V2 Series 3 which is an amazing little dab pen. The Series 3 lets you vape different materials such as e-liquids , dry herbs, and wax concentrates! We love it. 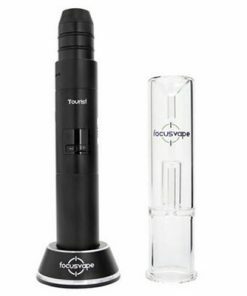 If you’re going to use your pen primarily for waxes, a dedicated wax vaporizer is a sensible and economical choice. 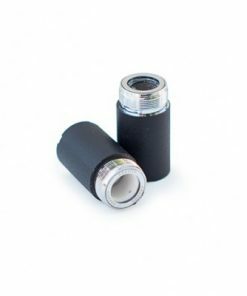 Remember when using a multi-function vape for dabs, you need to ensure that you are using the correct heating chamber or cartridge. A heating chamber or cartridge for dry herbs or e-juice is not designed for concentrated cannabis materials like waxes, oils and dabs. 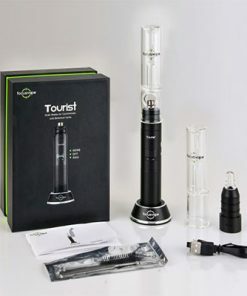 We at Rocky Shore only carry the best vape pens and have tried and tested each one we stock. 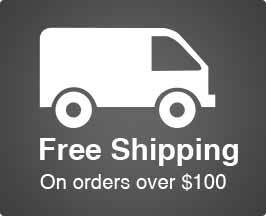 Read our full reviews for more information and opinions on our vaporizers.